The Town of Wausau is located adjacent to and immediately east of the City of Wausau. Much of the town is very rural. It includes 36 sections and is located in Township 29 North, Range 8 East. The vision of the Town of Wausau is to provide for the growth and development of the town over the next ten years in such a way as to balance individual private property rights with the town's need to protect property values community-wide, minimize conflicts and keep the cost of local government as low as possible. Due to the location of the Town of Wausau, farming has given way somewhat to the growth of a small but significant bedroom community of commuters and hobby farm owners. Housing in the Town consists primarily of owner-occupied, single-family residences. The 2000 Census indicates that there are 2,214 residents in the town with 796 households. The following elected officials govern the Town of Wausau: a Town Chair, two Supervisors, a Town Clerk, and a Town Treasurer. All positions are elected in the odd numbered years for a two-year term in April. New officers are sworn into office at the April meeting of the Town Board. 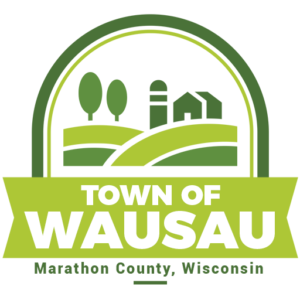 This web site has been approved by the Town Board to keep the residents of the Town of Wausau informed as to the operations of the township as well as providing access to its elected officials and services.